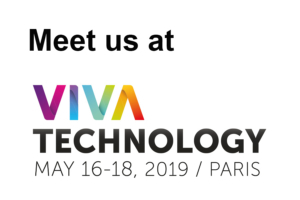 Like in 2018, the German-French Academy for the Industry of the Future presents itself at the Viva Technology 2019 in Paris. From 16th to 18th of May, TUM’s and IMT’s spin-offs will showcase their solutions and ideas about Industry 4.0 at this renowned international tech fair. Meet us at booth H44. Our list of presented start-ups and solutions will be published here by 23rd of April.